Have you considered an HVAC tune-up this winter? As seasons change in Houston, there are a few tasks you should complete both indoors and outdoors to ensure the safety and comfort of your family irrespective of what the weather brings. As the heating system approaches, one of the major concerns should be to maintain your HVAC. Besides, you wouldn’t want to experience a mid-season breakdown when you need the heating system the most. The department of energy estimates that most homes spend about $2,000 in heating every year. If you stick to the recommendation of changing your filter according to the manufacturer’s instructions, you might reduce this figure by as much as 15 percent. If you would like to slash your bill, consider hiring qualified HVAC specialists like those at https://guysac.com/. 1. Should you replace your HVAC system? Considering the age of the heating system and your present energy bills, you can tell whether replacing it is viable or not. The heating elements that have been in use for over ten years tend to be 40 to 60 percent efficient. If your HVAC network has been running for this long, consider replacing the system to increase energy efficiency in your home. Making your fan to run clockwise during the cold months has a huge impact on your family’s comfort and safety. During winter, warm air will rise to the ceiling fan while cool air remains at the bottom. When you reverse the ceiling fan, you will force cool air upwards, and push warm air downwards. Depending on the form of ceiling fan you are using, you might have to remove some screws to locate the reversal switch. Dirty HVAC filters limit the HVAC’s efficiency. Do you recall the last time you cleaned the filters or changed them? If you haven’t done so in a while, it might be the perfect time to do it. Consider replacing them every one to three months. To be on the safe side, check your owner’s manual to know the best frequency of changing or cleaning the filters. Ensure you have enough back-up to avoid going to the store every other month. Doors and windows with leaks and cracks can contribute largely to the energy bill and your comfort too. The cracks and holes in the home can add up to a window! Check whether the caulking and weather stripping is in good shape or if it is broken or cracked. Better still, you can hire HVAC experts in Houston, Texas to do the check-up. Clear any debris that might have accumulated in the outdoor AC unit. Ensure that there aren’t any leaves, dirt, pollen or debris on the unit. When you keep your system free or waste, you will have ensured the proper functioning of the HVAC unit. Remember to leave at least two feet of space free on all parts of the unit. It will enable maximum airflow and proper running of the system. Get rid of debris and dirt in the indoor part too. 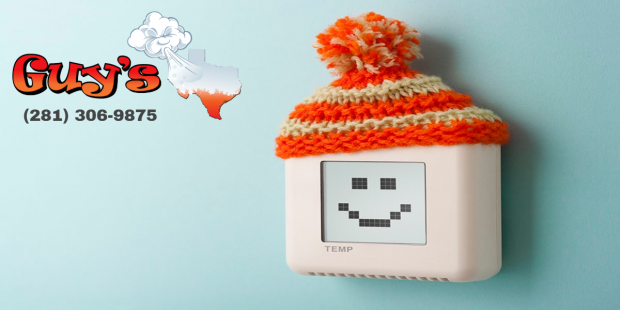 When you are transitioning from cooling to heating, you ought to reprogram the thermostat. You can save by taking this simple step. All you ought to do is to ensure that you set it properly. Lower the thermostat settings so that you can save on energy when you are not in the house. Inspect your home and ensure that the return and supply vents, as well as registers, are clear. Double-check to make sure that furniture or rags do not obscure the registers. Take this opportunity to clean the vents as well. This will help avert dust and dirt from getting into the HVAC system.